Bottle making machine blow the preform into plastic bottles.Famous bottle water brand start from your own plastic bottle design. 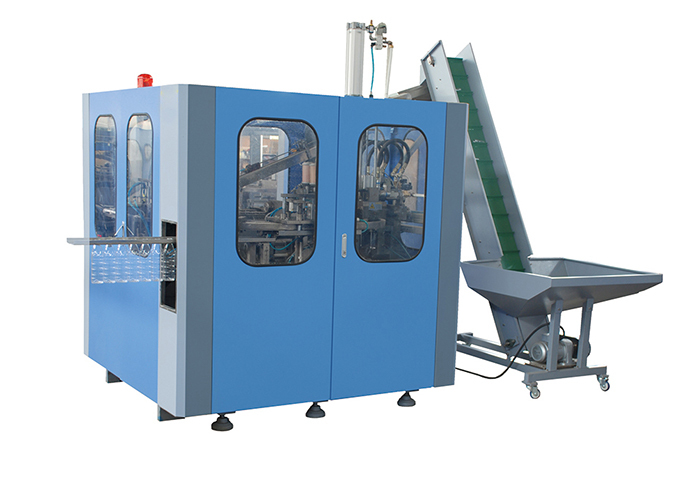 Plastic bottle making machine through a certain process blow the PET preform into plastic bottles. It is mainly use to produce the carbonated bottle, mineral/pure water bottle, pesticide bottle oil bottle cosmetics, wide-mouth bottle and hot fill bottle and so on. 1 Preform heating in a special preform heater. 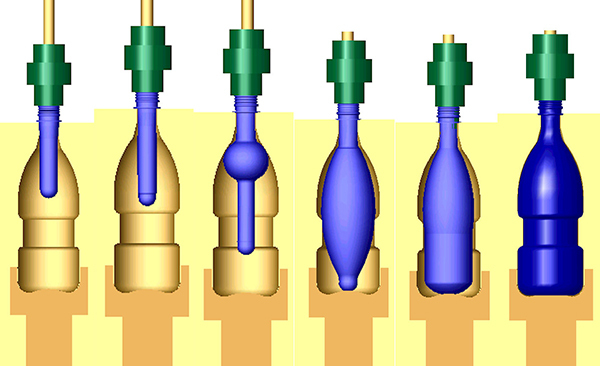 2 Opening of the blow mould (by closing unit) and insertion of the preform. 3 Closing of the blow mould. 4 Bottle stretching and blowing. 5 Opening of the mould and transport of the finished bottle to the exit conveyor. 6 Bottle prepared to transport.